Although I do enjoy using a sewing machine to stitch together projects, I initially learned how to hand sew as a child. Hand sewing isn’t as daunting as it sounds, although it takes a little bit of practice, anyone can learn how to sew by hand. I hand sew items when I need a quick fix or a temporary fix. As a person who lives a zero waste life, repairing clothing helps in the fact that I can hang onto clothing that I still love to wear. Learning to repair items is essential to living a zero waste life for that fact that I simply don’t own that many items but also the fact that I don’t want to create more waste in the landfill. Granted, once a piece of clothing or item is beyond repair, I will have to somehow repurpose it or it becomes trash. Even when I’m ready to donate my clothes and buy second hand clothes, I still prefer to repair the item before donation- there’s no reason that the next person should receive an unkept possession. Sometimes I need to edit products for my daily needs so hand sewing is a better option than using a sewing machine. After I’m done, I simply add my leftover thread to my trash pile. Although the leftover thread is inevitable, it’s a better alternative than going out and making new purchases. I have quite a bit of leftover thread in my trash pile so I plan to find an alternative use for it. I like to use the running stitch, hemming stitch and the backstitch. I favor the running stitch because it’s a simple stitch that is clean and easy to make. The hemming stitch is good for joining two layers of material together, when you want to hide the stitch seam. The backstitch is good for a more secure version of the running stitch. I use the backstitch on items that may have more weight on either side of the stitch, or when there s a chance that the stitch might come apart due to the materials being pulled in opposing directions. There are many types of stitches to learn about and if you can master just one or two of them, you can save a great deal of time and money. Learning how to hand sew items is a skill that anyone can develop and learn, it is very easy once you understand how fabric is held together and why certain products use certain stitches. A lot of the times, picking out the right stitch is simple as just copying what the manufacture used on your product. When I mention my essential design tools, I’m talking about tools I keep around in order to hack an object or product. Whether it be the way that the product is used, is placed in a location or creating more than one type of use for it. These alterations are never designed to compromise the integrity of the product itself unless I really want to step into that realm. 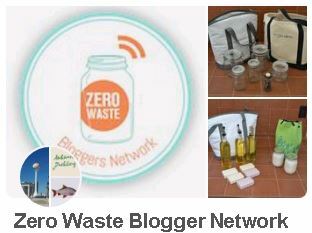 The reason why I don’t want to alter the integrity of the products too much is because by living a zero waste life, I must be able to make multiple products be able to be used for multiple functions. This idea of versatility with every product I invest in, is always in the back of my mind with every purchase or design hack. All of the tools I choose to keep are reusable and are made of durable material. I do prefer metal or stainless steel material because these tools can be manipulated into the shape of a loop. My favorite tools out of all of these are the carabiners and metal rings. Carabiners are strong, safe, secure and easy to use. Their closed loop design and locking mechanism was the design feature that caught my attention years ago. And due to the fact that these carabiners can be used repeatedly, the investment will pay off on its own. Metal rings can be used anywhere to create another secure loop for hooking any carabiner to it. These two tools coincide with one another when I use them. I also favor rope as well. If you can find extra rope that’s braided together, then you’ve found gold in my opinion. The strength of braided rope combined with the knowledge of knots is essential. Also, rope has a soft flexibility to it where it can be use with clothing alterations, products and repairs. It’s flexible enough to create tension for a blanket fort, yet can be turned into a lasso to help save a drowning adult in a roaring rapid. Metal binder clips and velcro straps are used as temporary grips for a group of anything that need to be bundled together. Although metal binder clips are limited in the width of the object they’re gripping, the metal material is still strong enough to retain it’s own shape. Velcro straps can be used for larger bundles and can also be linked together to extend their capabilities around larger bundles. S-Hooks are simply used when I need to hang something up without needing to drill a hole into another material. It is my go to tool when I have to deal with an object that needs support due to gravity more so than any other issue. 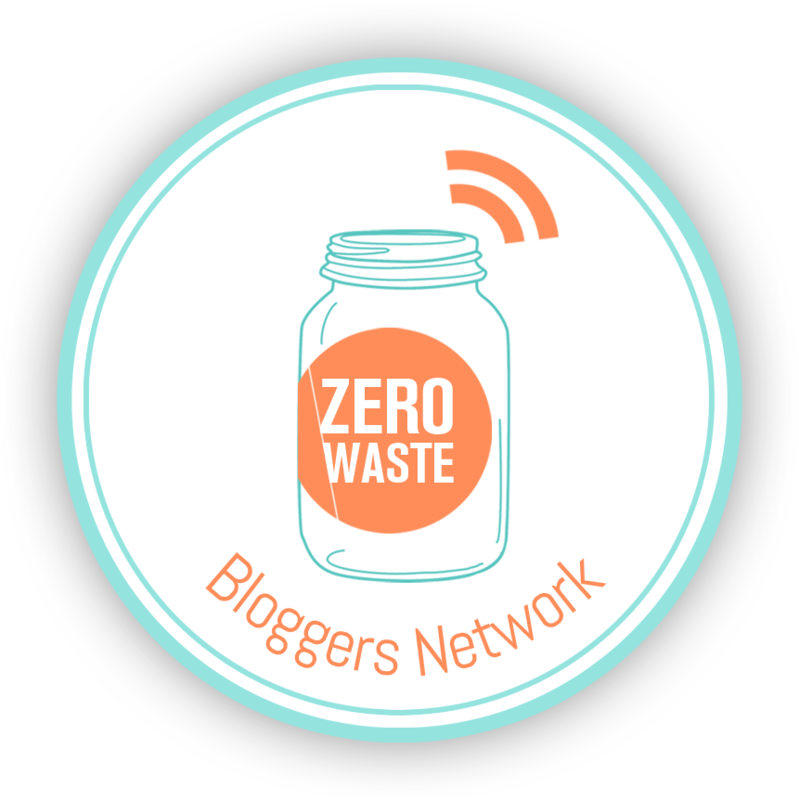 There are parameters to living a zero waste life, but one has to live within those parameters and still meet their own needs. Some might say that keeping supplies such as the ones I’ve listed above is excessive, yet, I reuse these design tools repeatedly. If you notice that you constantly reuse certain tools or constantly go out and buy the same supplies, I’m betting that you’ve stumbled upon your own design tools. Invest in supplies that are versatile and are produced with durable materials, and they will consistently give back to you. As Spring is rolling in and Summer is around the bend, I wanted to show a design hack that doesn’t require much commitment. I have a small balcony that leads up to my area and it doesn’t have a screen to keep out pesky bugs. I’m a fan of fabric shower curtains for the fact that I like to toss them into the washing machine and hang them up to dry. I have a few fabric shower curtains that I keep around for design hacks such as these. A shower curtain fits almost the height of a standard door frame. For anyone who lives in a space where they cannot impede on the design structure of the space (ie. due to tenant contracts via landlord), this seems to ease the pain of when your area is overheating during the hotter season. I took 2 tiny nails and hung up one of my fabric shower curtains. Make sure that the nail on the end where the hinge of the door frame is located, is about 6″ from the edge of the frame. This is because when you swing the door open, you have to take in to account the width of the door itself. The curtain must hang easily and without tension as the door is open at 90 degrees. On the door handle side, try to use a binder clip to extend an arm to hook it to any lock hinge with an S hook, or you can simple place a push pin in the wall and hook the binder clip handle to it. The nail holes are also a simple fix if you decide to move out and need to patch up the holes with caulking. On the open side of the shower curtain I clipped a metal binder clip and on the hinge side of the door, I looped a metal ring. The side with the metal loop tends to wedge perfectly in between the door and the frame on the hinge side. However, when placing the metal ring, try to wedge it horizontally. I actually use a folded up washcloth to wedge under the door to hold it open too. On the bottom of the curtain, if you want some weight to the curtain, you can simply attach some metal binder clips with a key chain on each (I know you guys have these key chains lying around somewhere). If you don’t have any key chains, try to find a small weight to hang from the binder clips. The reason why I use binder clips in this design hack, is because I don’t want to sacrifice the integrity of the shower curtain itself. My extensions seem to be enough for me when it comes to hanging my shower curtain and the design on the shower curtain gives a little bit of illuminated art during the day. I don’t add the binder clips or the key chains at the bottom of mine during the summer. I think I like the drastic movement it makes with the wind when it flows through my space. I hope this design hack helps for any of you who may be living in apartments or homes that get uncomfortably hot during the summer. It’s a way to make your own screen without destroying the integrity of the architecture and design or paying for a brand new screen. So I made this phone holder in 2011, it was right around the time when the statistic of distracted driving started becoming an issue. Quite frankly, I don’t text and drive, I enjoy driving when I’m driving. The idea of getting pulled over for a ticket is also not one of my goals. However, I still used my GPS map when I drove to new locations. I did research different types of phone holders for cars and I wasn’t happy with any of the designs. I like to keep surfaces clean, mostly because I hate to move things when I wipe down a surface, and then move them back. The mounting units that came with the phone holders would either have a set holder that would attach to surfaces or they were movable. There was the option of using the devices that had a suction cup to stay attached to my windshield, but if my windshield temperature got too cold, it would slowly release the suction and the entire device would fall down. I love the Law of Gravity. I really do. I utilize it in almost everything I design or make. This was my solution to my problem. I used the black case that my 1 TB external hard drive, and used rings to hang the case from my vent system in my car. I cut a rectangular hole on the bottom so that I could attach the charging cord. I cut out a rectangular hole so that I could see the screen when I drove and I used electrical tape to clean the edges. (I use electrical tape when the environment calls for some sort of heat fluctuation.) The holder is slightly bigger than the phone, but I figured, iPhones are getting larger with each generation so why not. I have an old car but I still love looking at this contraption. It’s just amusing to see my solutions. It’s not the prettiest iPhone holder, nor do I think it would sell, but I didn’t go out any buy anything and it still works to this day.